Highest & Best due by 6pm 4/15/19. Beautiful 4 Bed, 2 Bath Brick Home! 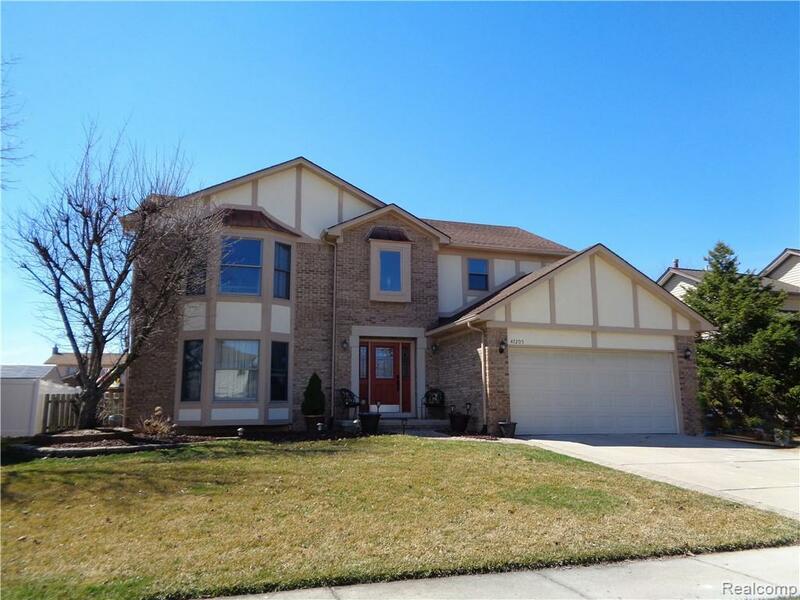 2 Story Foyer w/Spiral Staircase, New Leaded Glass Door w/Side Lights, Formal LR & DR w/HWF & Crown Molding. Cozy FR w/HWF, Gas Fpl & Wood Mantle. Open Kit w/Granite Counters, Premium Samsung SS Appliances, Microwave w/Direct Vent, Kitchen-Aid D/W. P/O Drawers, Pantry & Sun-Filled Breakfast Rm w/Sliding Door to Yard. Updated Baths! FFL w/Washer & Dryer! Wonderful Master Suite w/Large WIC Closet & Gorgeous New Updated Bath! Fin Basement w/Fridge is Great for Entertaining! Newer High Efficiency Lenox Furnace (2012), Newer HWH (2015), Back-up Sump Pump. Fabulous Att Heated Garage w/Epoxy Floors, Built-in Storage Cabinets, Exhaust Fan, Insulated Garage Door & Inground Sprinklers! Central Air (2012). 4 Ceiling Fans. Fenced Yard w/Deck, Shed & 24 Round Above Ground Pool (with pool equipment). 30 Year Dimensional Shingled Roof (2005), Extra Attic Insulation. Excl. compressor hose in garage. Award Winning Utica Schools! !